Did you know you can order groceries from Amazon and have them delivered? Save the hassle and shop online! Place all ingredients (except chocolate chips) into a blender and mix for 30-40 seconds. 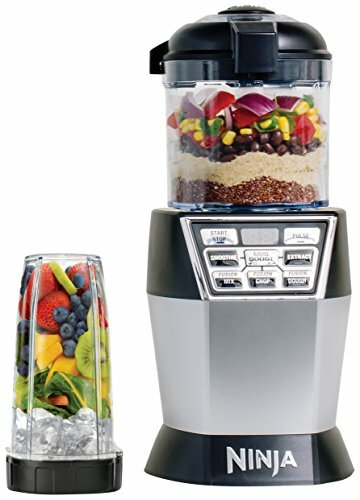 I prefer to use my Nutri Ninja Nutri Bowl DUO and select Fusion Mix for a total of 40 seconds. Spray a muffin tin with cooking spray and scoop batter into the tin. I used this square Wilton tin. Finish by adding a few chocolate chips to each muffin tin. Bake for 11-12 minutes. The recipe makes 12 protein muffins. 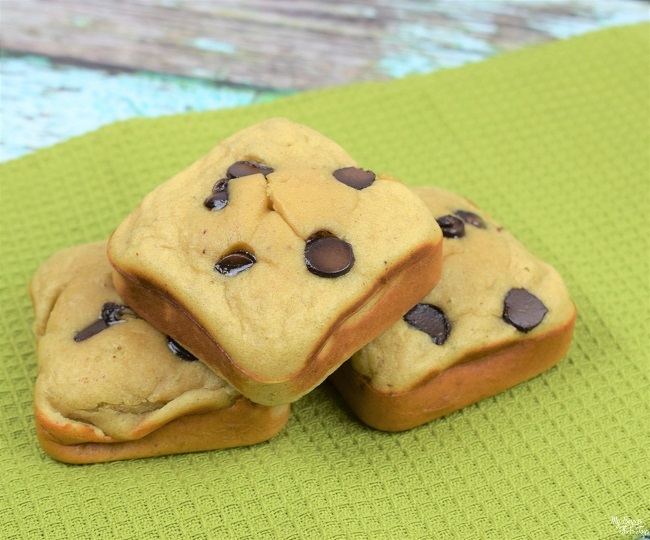 These healthy banana chocolate muffins are an easy grab and go breakfast for the entire family! Preheat oven to 375 degrees F Place all ingredients (except chocolate chips) into a blender and mix for 30-40 seconds. I prefer to use my Nutri Ninja Nutri Bowl DUO and select Fusion Mix for a total of 40 seconds. Spray a muffin tin with cooking spray and scoop batter into the tin. I used this square Wilton tin. 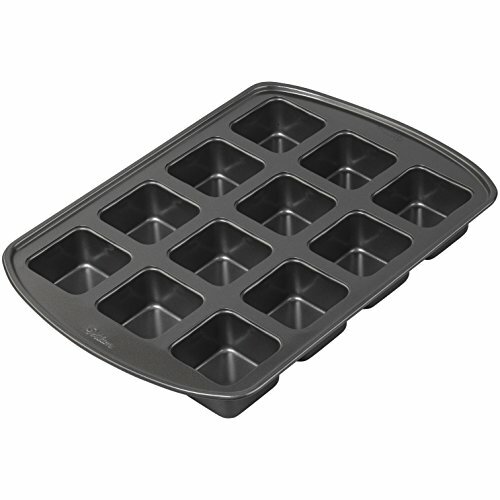 Finish by adding a few chocolate chips to each muffin tin. Bake for 11-12 minutes. The recipe makes 12 protein muffins. These healthy banana chocolate muffins are an easy grab and go breakfast for the entire family! Looking for other ways to sustain your energy throughout the day? Try Premier Protein Bars, Fiber Bars, or pre-prepared protein shakes. They have really delicious flavors like Chocolate, Bananas and Cream, Chocolate Mint, Peanut Butter Caramel, and many more varieties. 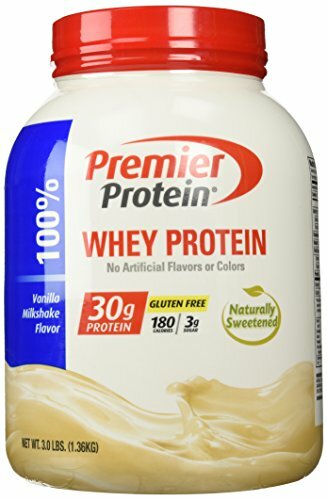 Find Premier Protein at Sams Club, Costco, Publix, and Walmart stores. How do you add protein to your diet? 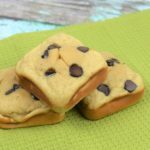 What a delicious, healthier type treat I could make for my family! Yum! Oooh, yummy! Who doesn’t love chocolate chips? Pinned it! 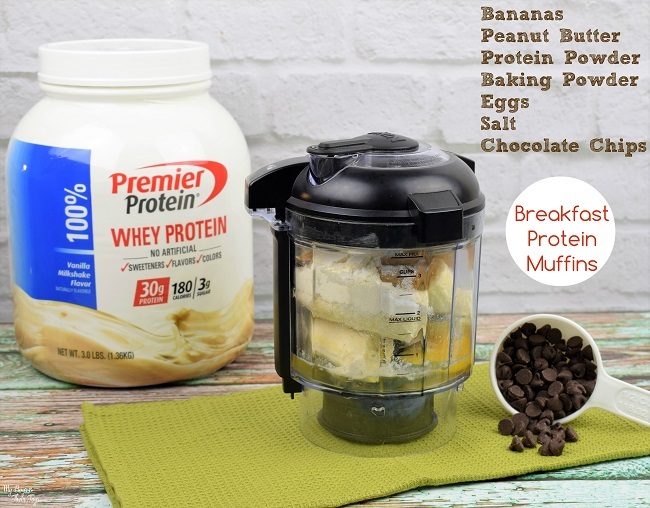 i love to make these because ihave a lot protein owder and love to make something delish . I’ve never tried to bake with protein powder. It’s a great option for low carbers. I have been wanting to make a healthy muffin recipe and this one looks so healthy and delicious! I will be making your recipe! Look delicious and so healthy! I like the pan you used too! These look delicious. I am not a chocolate eater (I am slightly allergic) but I think it would work fie with or with out. I love the way these look and I bet your kitchen smelled divine. These are the perfect portion size! Love the peanut butter, banana, and chocolate combo. Going to try these for the kiddos! I love anything with banana! This looks so good! We love muffins! These look super good! This is something I’d like to try! I love that it includes protein powder. Love chocolate chip anything, looks great. Easy to bake. 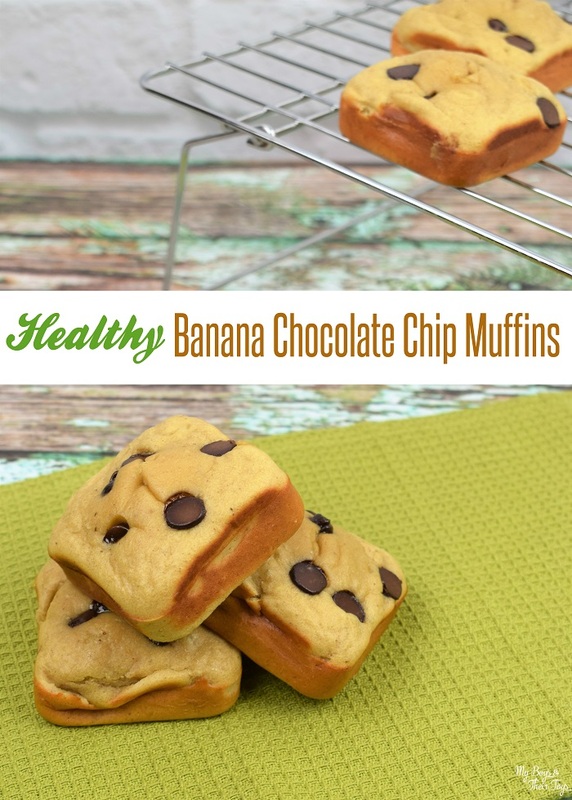 I like bananas, chocolate chips, and muffins so I will love these. These chocolate chip muffins sound delicious, definitely making these for my family. This is a really nice recipe, and I’d love to use my protein powder for this. This looks like a nice muffin.